Your basement could be this beautiful! 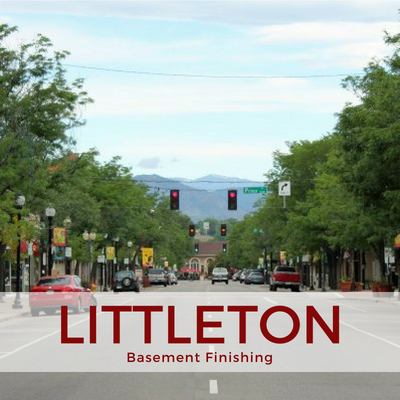 Contact ElkStone for a free, no-obligation estimate for your basement finishing project. Submit this form or call us today at 303-656-9006 for your free estimate. The next generation of theater rooms will include multiple viewing screens. But whatever your style, ElkStone, Inc. can build custom home theater rooms for your basement theater space that your family and friends are sure to love. 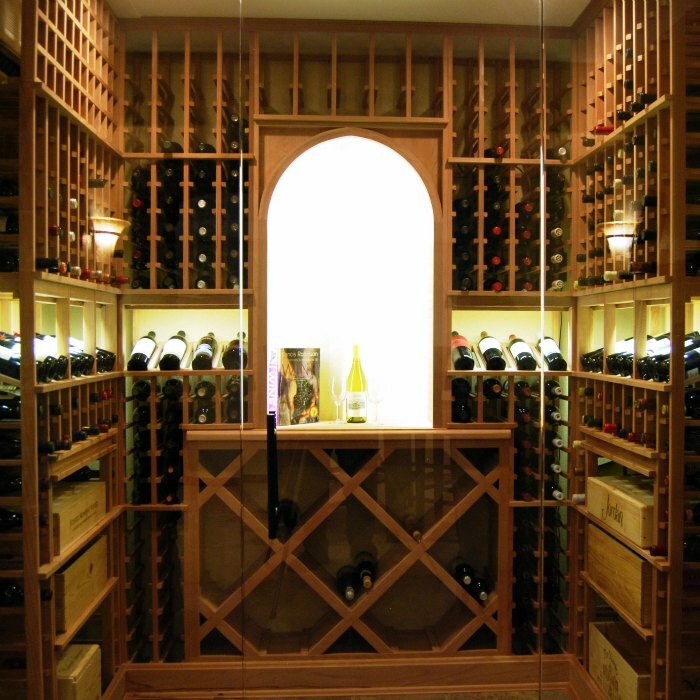 Did you know that three out of every four ElkStone Inc. basement jobs includes a basement bar? 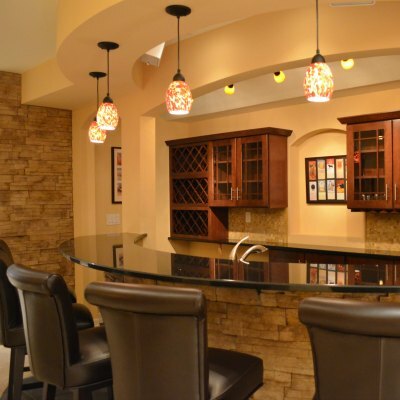 Basement bars are extremely popular! 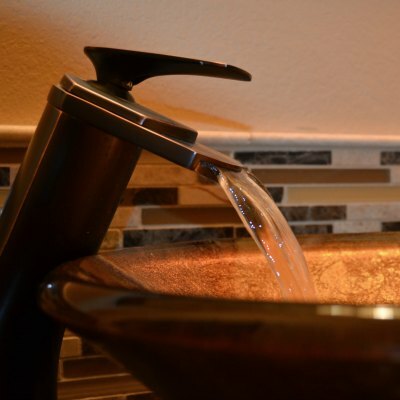 Take a moment to browse our gallery full of basement wet bar pictures in a variety of gorgeous styles. Make a room of your own! 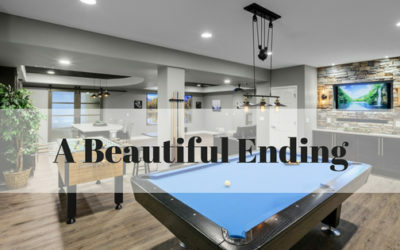 Poker, scrapbooking, wine room, exercise room, cigar room, craft room, sewing room, recording studio, photo editing… The possibilities are endless. 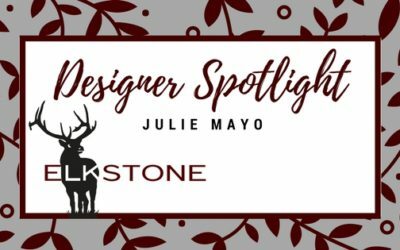 Whatever room you can think of, ElkStone, Inc. has a solution! Rec rooms are without a doubt one of the most enjoyable rooms in the house! 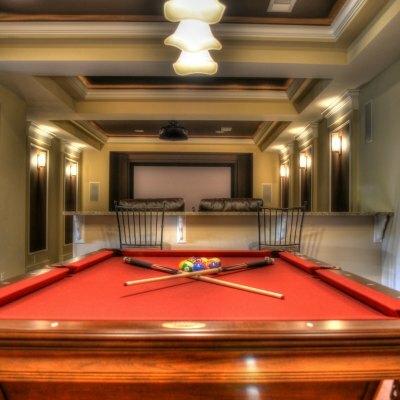 ElkStone, Inc. can turn any room in your home into a functional game room filled with billiards, ping pong, foosball, ping ball machines, arcade games, air hockey. 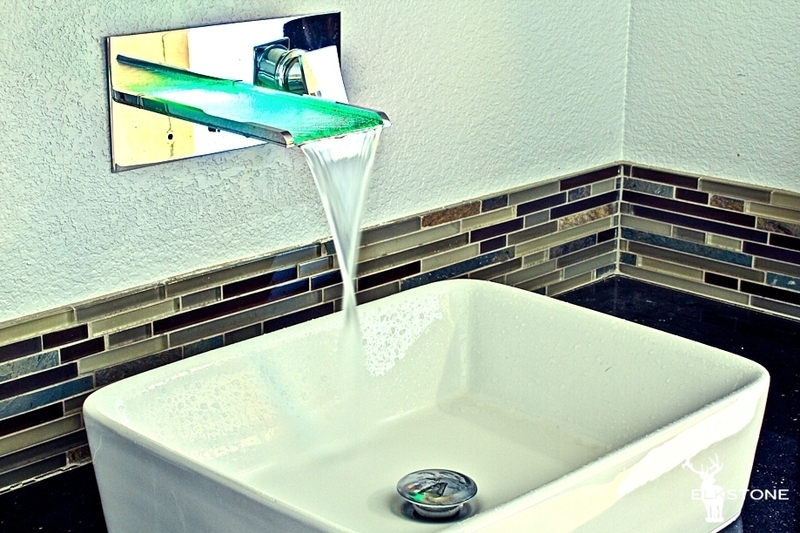 ElkStone will tailor your bathroom to match your family’s needs and style. 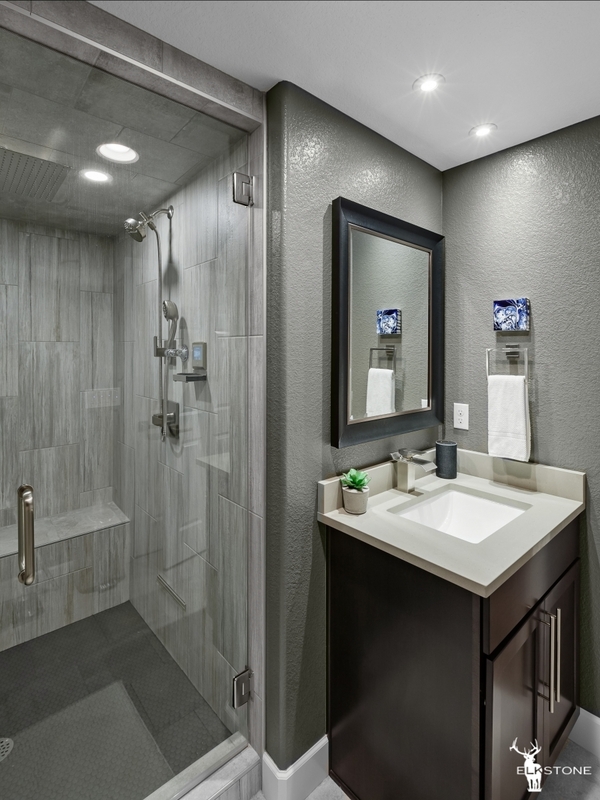 Our innovative and intuitive Project List allows you to select any style and finish for hardware, glass, tile, and fixtures. ElkStone, Inc. will quickly and professionally create a beautiful basement living room space that will add value to your home. 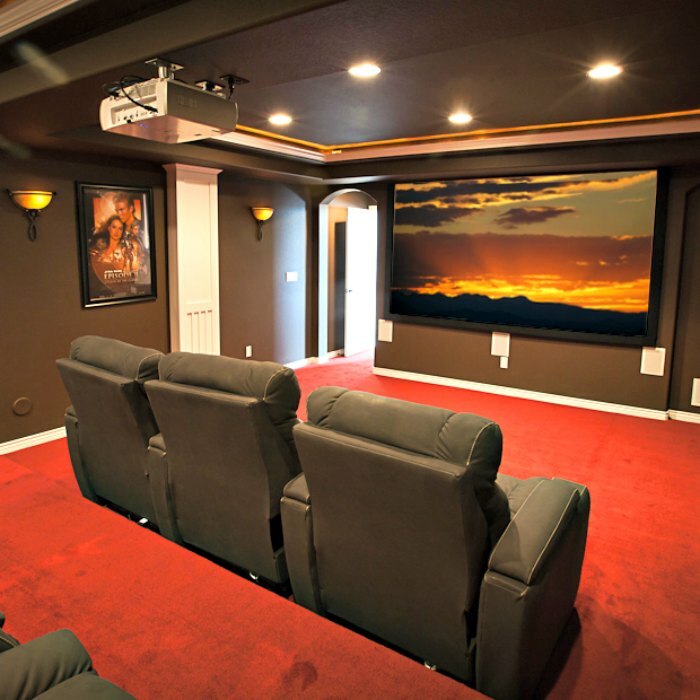 Check out our basement family room photos and imagine a home theater and La-Z-Boy in your basement family room. 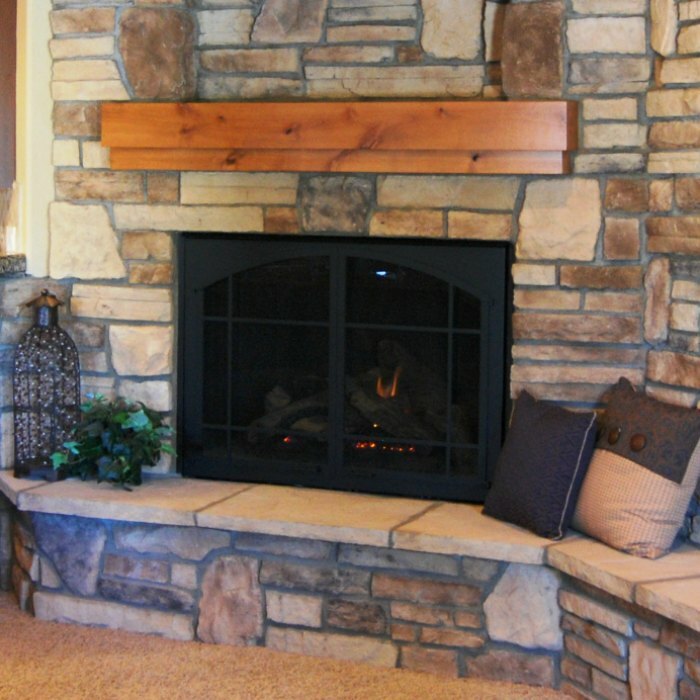 ElkStone, Inc. can outfit your basement with a decorative fireplace trimmed in stone, tile, or drywall. 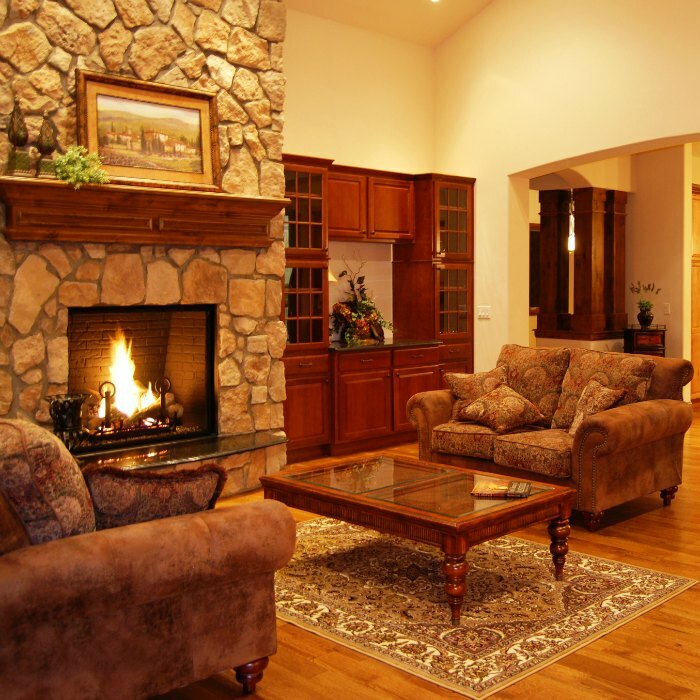 We specialize in eye-catching options such as hearths and mantels that will add value and warming comfort to your basement. 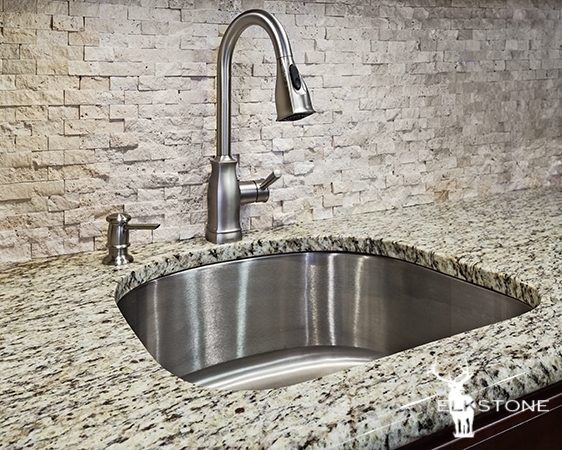 ElkStone can add anything from a dry bar to a fully loaded kitchenette within your basement finish project. 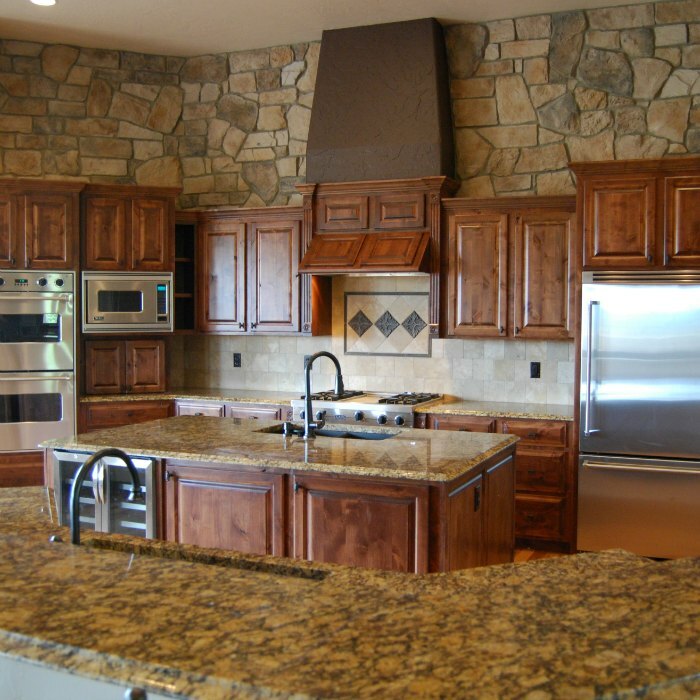 Our professional ensemble of preferred vendors provides the materials to match your existing home or create that custom design you’re looking for. It costs 80% less than buying a larger home, and there’s no moving! Thoughtful design, uncompromising quality, unmatched speed – you really can have all three. Building can be enjoyable! ElkStone will transform your unfinished space into a luxurious place your family will enjoy and your neighbors will envy. The ElkStone App is your online portal to your complete, custom basement finishing project. Everything from contacts to cost summaries is at your fingertips on demand. Thoughtful design, uncompromising quality and unmatched speed – you really can have all three! But don’t take our word for it – just ask any of our previous clients. Meet the people who bring basements to life! Explore ElkStone’s purpose, core beliefs and values, and core competencies – and check out the Colorado family that started it all. You’ve got questions, and we’ve got answers. Find out what you can expect to spend, what to ask potential builders, and what to anticipate during the construction process. Less hassle: with our comprehensive buying guide you’ll breeze through selections! 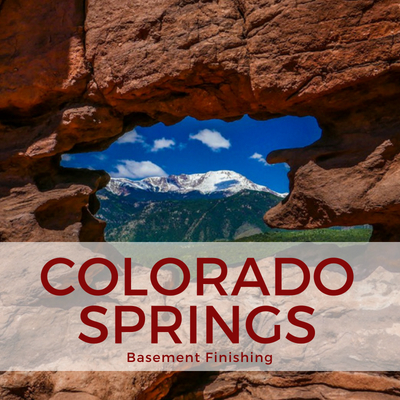 Less time: our exclusive basement finishing schedule transforms your home in 5 short weeks! 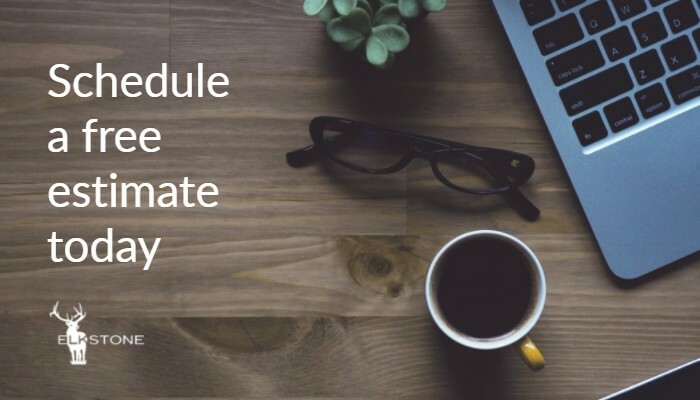 Less money: the best value when considering schedule, craftsmanship, and service! How much does it cost to finish a basement? Click here to find out! 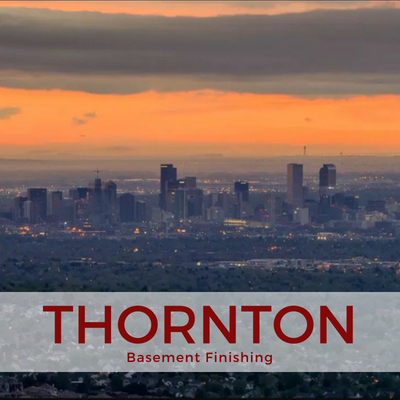 Denver Colorado’s Best Basement Finishing Company! 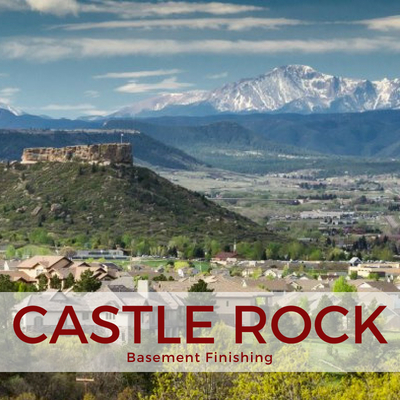 For more than 10 years, ElkStone, Inc. has been giving homes a beautiful makeover with our quality basement remodeling and basement finishing services in Denver, Aurora, Highlands Ranch, Centennial, and the entire Denver metro area. 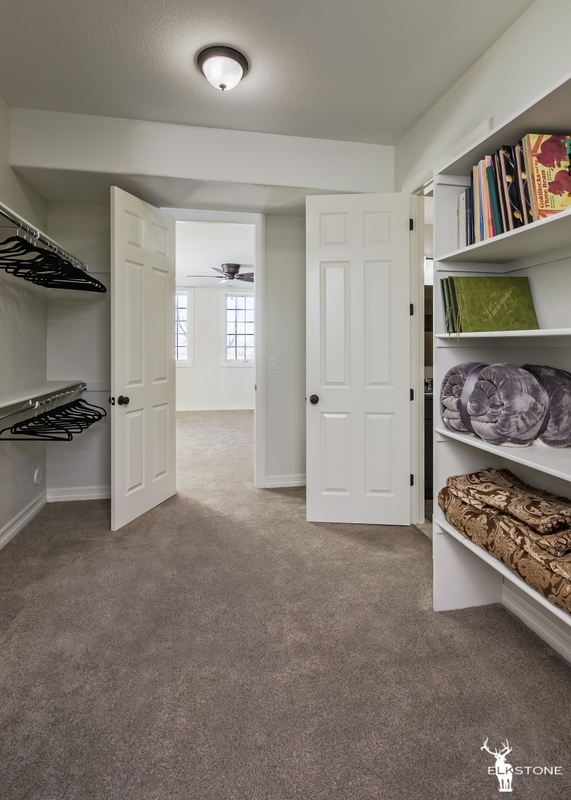 You’ll find our commitment to value, service and a speedy basement makeover gives ElkStone, Inc. a leg-up on the competition. 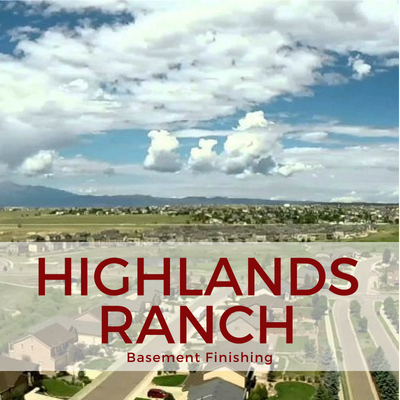 For starters, we’ll come to your home for a free and thorough basement design and basement finish consultation to discuss how we can make your dreams become a reality. 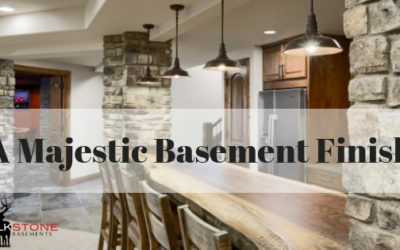 After our initial consultation, we’ll provide you with our custom basement plans and a proposal for your basement design that will meet or beat the price of the other basement companies. Plus, we make every effort to ensure your entire experience with Elkstone, Inc. will be hassle free and filled with enjoyment. 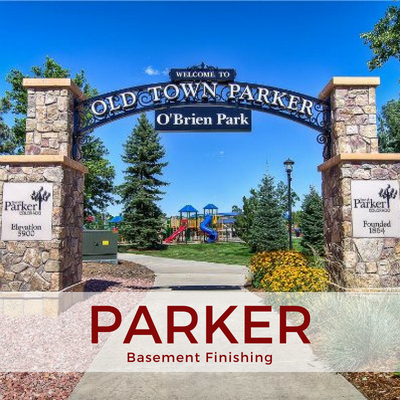 Our professional staff will complete your basement remodeling project and be out of your home in only five weeks – this is three times faster than the average basement renovation company. Ask any of our previous customers or read our testimonials page, you’ll see customer satisfaction and service are a top-priority at Elkstone, Inc. In fact, substantial portion of our business comes from the wonderful references of our satisfied customers. 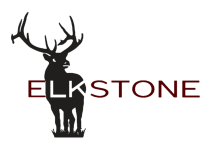 Contact Elkstone, Inc. for a free, no obligation consultation. 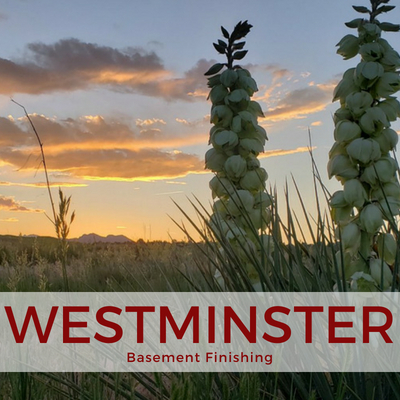 Take a look at our basement finish gallery to see our work and get an idea how we can build a beautiful basement for you. 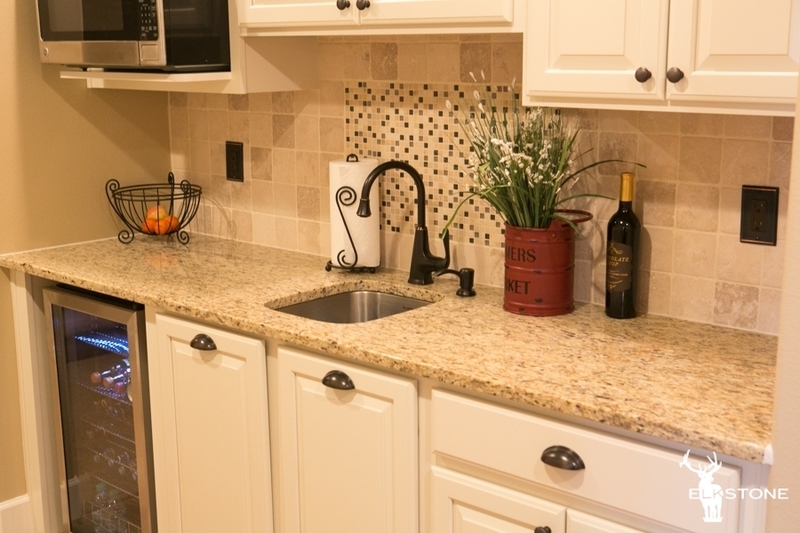 Elkstone, Inc. specializes in the following basement jobs: Basement Finishing, Remodeling, Finish, Refinishing, Rooms, Fast, Design, Contractor, Company, Remodel, Estimate, Cost, Construction, Residential, Renovation, Custom, Decorating, Makeover.